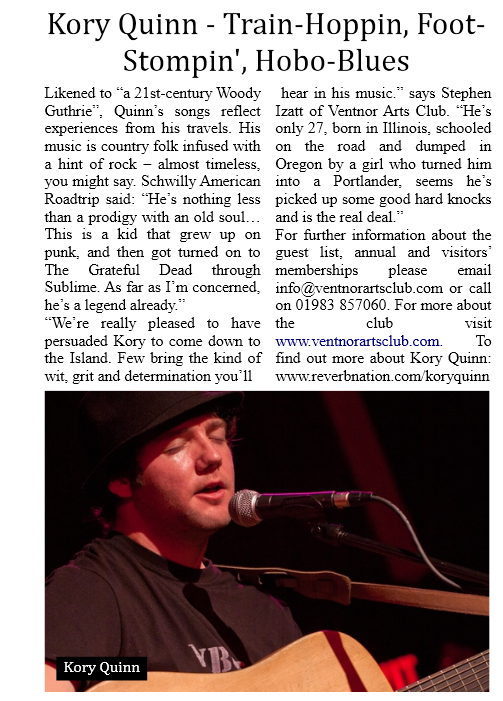 Kory came and played the club this weekend and was not only good but also charming. Good luck on the rest of your UK / Ireland tour Kory. We hope to see you back with that song you wrote on the beach all finished.